Heal (available at level 16): While priests already have a spell called Heal, the existing version becomes obsolete at higher levels, which is something we intend to change in Cataclysm. Introduced at a low level, the "new" Heal spell will functionally work much like a down-ranked Greater Heal did in the past, adding more granularity to your direct-healing arsenal. If you need to heal someone a moderate amount and efficiency is an issue (making Flash Heal the incorrect spell for the job), then Heal is what you want to use. Heal is intended to be the priest's go-to direct-healing spell unless they need something bigger (Greater Heal) or faster (Flash Heal). We will be following a similar philosophy with all the healing classes. Mind Spike (level 81): Deals Shadowfrost damage and puts a debuff on the target that improves subsequent Mind Spike damage. The intent of Mind Spike is to fill a niche missing in Shadow DPS, though it may be occasionally useful for healers as well. Mind Spike provides a quick nuke to use in situations where the priest doesn't have time to set up the normal rotation, such as when adds are dying too fast or you have to swap targets a lot. Spamming Mind Spike will do about as much damage as casting Mind Flay on a target afflicted with Shadow Word: Pain. The idea behind the debuff is that when you cast Mind Spike, we expect you to cast a lot of them; we don't intend you to fit it into an already full Shadow rotation. It also provides Shadow with a spell to cast when locked out of the Shadow school. (School lockouts will no longer affect both schools for multi-school spells.) 1.5-second cast. 30-yard range. No cooldown. Inner Will (level 83): Increases movement speed by 12% and reduces the mana cost of instant-cast spells by 10%. This buff will be exclusive with Inner Fire, meaning you can't have both up at once. Inner Fire provides a spell power and Armor buff; Inner Will should be useful on a more situational basis. All HoTs and DoTs will benefit from Haste and Crit innately. Hasted HoTs and DoTs will not have a shorter duration, just a shorter period in between ticks (meaning they will gain extra ticks to fill in the duration as appropriate). We want to bring back Shadow Word: Death as an "execute" -- something you do when the target is at 25% health. While we want to keep the priest's role as a well-rounded healer, we also want to make sure the class is a viable tank healer, which is something priests moved away from a little in Wrath of the Lich King. Greater Heal will probably be the tank-healing spell of choice, though we've also discussed giving Discipline a second shield so that they have a small shield to cast on lots of different targets, and a big, more expensive shield to cast on a tank or anyone else taking a ton of damage. Divine Spirit and Prayer of Spirit will be removed from the game. As Spirit will be the primary mana-regeneration stat, we don't want it to vary as much between solo, small group, and raid play. Blessing of Kings and Mark of the Wild will not boost Spirit either. Mana will be a bigger consideration for all healers. We aren't trying to make healing more painful; we're trying to make it more fun. When the cost of a spell isn't an issue, then casting the right spell for the job is less of an issue because you might as well just use your most powerful spell all of the time. We are, however, getting rid of the five-second rule, because we don't want to encourage standing around doing nothing. We're also going to cut back on the benefits of buffs such as Replenishment so priests (and all healers) don't feel as penalized when those buffs aren't available. We want to improve Discipline's single-target healing capacity. One key is to make sure shielding isn't always a more attractive option than healing. We want to improve Holy for PvP healing. One way to do this is to make sure that Heal's throughput is similar between both specs. We want to improve Shadow for short fights and reduce its susceptibility to school lockouts. Discipline will finally be getting Power Word: Barrier as a talented ability. Think of it like a group Power Word: Shield. We want to make Holy a little bit more interesting to play. One new talent will push the Holy priest into an improved healing state when he or she casts Prayer of Healing, Heal, or Renew three times in a row. The empowered state varies depending on the heals cast. Since the Shadow tree has a lot of passive damage-boosting abilities -- something we're trying to avoid in Cataclysm -- we will need to replace several of the tree's talents. One idea is to play off of the new Shadow Orbs mechanic (see Mastery section below), possibly allowing you to consume an orb to increase damage from Mind Blast or reduce Mind Spike's cast time. Misery will no longer affect spell Hit chance. We want players to be able to gear themselves around a Hit cap that isn't variable depending on group composition. Absorption: Improves the strength of shields such as Power Word: Shield, Divine Aegis, and Power Word: Barrier. Radiance: Your direct heals add a small heal-over-time component to the target. Shadow Orbs: Casting spells grants a chance for Shadow Orbs to be created that fly around you and increase your shadow damage. This will help lower-level characters feel more like "Shadow priests" before they obtain Shadowform. Primal Strike (available at level 3): Primal Strike is a new weapon-based attack that every shaman will learn very early in the game. Our goal with this ability is to make leveling as Enhancement rather than as Elemental more viable, since many key Enhancement talents become available at fairly high levels. Healing Wave (level 4): While the shaman already has an ability called Healing Wave, we're adding another spell to the class's direct-healing arsenal and giving it a familiar name. The current Healing Wave will be renamed Greater Healing Wave, and the intent is for the 'new" Healing Wave to be the shaman's go-to heal. Lesser Healing Wave and Greater Healing Wave will be used on a more situational basis. - Windfury Weapon – Hurls a spectral version of your weapon at a target, dealing 50% weapon damage and increasing the shaman's Haste for the next five swings. - Flametongue Weapon – Deals instant Fire damage and buffs the shaman's next Fire attack by 20%. - Earthliving Weapon – Heals the target slightly and buffs the shaman's next healing spell by 20%. Healing Rain (level 83): An area-effect heal-over-time (HoT) spell that calls down rain in a selected area, healing all players within it. There is no limit to the number of players who can potentially be affected; however, there are diminishing returns when healing a large number of targets, much like the diminishing returns associated with AoE damage spells. This should give Restoration shaman another healing tool that improves their group-healing and heal-over-time capabilities. 2-second cast time. 30-yard range. 10-second duration. 10-second cooldown. Spiritwalker's Grace (level 85): When this self-targeted buff is active, your spells are no longer interrupted by movement and possibly even by your own attacks. This will give shaman of all three specs another way to heal or do damage when it’s necessary to move in both PvE and PvP. Instant cast. 10-second duration. 2-minute cooldown. In addition to adding new spells, we're planning to make changes to some of the other abilities and mechanics you're familiar with. This list and the summary of talent changes below it are by no means comprehensive, but they should give you a good sense of what we intend for each spec. * Restoration shaman and other healing classes will need to pay attention to mana more than they've had to during Wrath of the Lich King. Spirit will be the Restoration shaman's primary mana-regeneration stat. * We're making changes to which classes and specs are able to dispel magic, diseases, curses, and poison, largely for PvP purposes. Shaman will have Cleanse Spirit as a baseline ability, but it will only remove curses. Restoration shaman will have a talent that will improve Cleanse Spirit so that it also removes magic. Shaman will no longer be able to remove poison. * Cleansing Totem will be removed from the game, as we want dispels to be a decision for players, not something done mindlessly. To that end, all dispels will cost slightly more mana, and you will waste the spell if you cast it when there is nothing to remove. (Currently, the dispel is only cast when there is something to remove, which encourages spamming 'just in case.") We will balance PvE dispelling with this new model in mind. * Totem of Wrath now will replace Flametongue Totem for all shaman, and dropping this totem will buff the group's spell power by 4%. Elemental shaman will have a talent that lets all Fire totems provide +10% spell power, allowing them to drop Searing, Magma, or Fire Elemental Totems without losing their spell-damage buff. The 4% and 10% buffs will be exclusive with each other and with the warlock's Demonic Pact, so you can't benefit from all of them at once. We're also considering letting Elemental drop Searing Totem at range. * We want to free up Enhancement global cooldowns to make the spec more dynamic to play. We're considering, for example, increasing the cooldown of Lava Lash so shaman have time to work other interesting abilities into their rotation. * Elemental Reach will be simplified so shaman have a more consistent spell range. * We plan to add Earthquake as a deep Elemental talent for targeted and persistent AoE. * Spirit Link will likely be worked back into deep Restoration in some form. The idea is that you will be able to link targets together so they share damage. When we had previously tried to implement Spirit Link, it was hard to balance and a little confusing. However, we really liked the concept -- and so did players -- so we are trying to bring it back. * Elemental will have a deep talent that allows Spirit (which will appear on the gear they share with Restoration shaman) to boost their Hit rating. * Ancestral Knowledge will boost mana pool size, not Intellect. * Enhancing Totems will be replaced with Focused Strikes, which will improve the damage of the new spell Primal Strike and Stormstrike. * With the Mastery system, we're also considering removing a number of talents that grant passive bonuses, such as Mental Quickness, Improved Windfury Totem, Mental Dexterity, Call of Thunder, Tidal Mastery, Purification, Nature's Blessing, and others, to allow players more freedom to choose more interesting talents. Elemental Overload: Your direct-damage spells have a chance to proc a less powerful 'bonus" version of the spell. This will work much like the current Lightning Overload talent, but would also apply to Lava Burst. Nature Damage: This will provide a passive bonus to the Nature damage dealt by the Enhancement shaman. Deep Healing: Your direct heals will do more healing when the target's health is lower. This will scale to damage (e.g. someone at 29% health would receive more healing than someone at 30%) rather than have arbitrary break points. We hope you enjoyed this preview, and we're looking forward to hearing your thoughts and feedback on these additions and changes. Please keep in mind that this information represents a work in progress and is subject to change as development on Cataclysm continues. Inner Rage (Level 81): Whenever the character reaches a full 100 Rage, he or she will gain a buff that causes attacks to consume 50% more Rage and do 15% more damage for a short amount of time. This is a passive ability so it won't need to be activated by the player. The goal for this ability is to provide a benefit for hitting max Rage instead of it feeling like a penalty. However, we also don't want warriors to feel like they're supposed to pool Rage and do nothing until they hit 100, so we'll be closely monitoring how this plays out during the beta testing, and making adjustments as needed. Gushing Wound (Level 83): This ability will apply a bleed effect to the target. If the target moves, the bleed gains an extra stack and refreshes its duration, up to a maximum of three stacks. The ability is currently planned to have no cooldown, cost 10 Rage, and have a 9-second duration. Gushing Wound is designed to be weaker than Rend with one stack, but better with three stacks, which will be reached when fighting a moving target. Heroic Leap (Level 85): This ability makes the character leap at their target and apply the Thunder Clap ability to all enemies in the area when they land. Heroic Leap will be usable in Battle Stance and shares a cooldown with Charge, but the Juggernaut and Warbringer talents will allow Heroic Leap to be used in any stance and possibly while in combat. The cooldown for this ability might be longer than the Charge ability, but it will also apply a stun effect so you can make sure the target will still be there when you land. In addition to learning new abilities, you'll see changes to other abilities and mechanics with which you're already familiar. This list and the summary of talent changes below it are by no means comprehensive, but they should give you a good sense of what we intend for each spec. Heroic Strike will no longer be an "on next swing" attack, as we are removing this mechanic in Cataclysm. To keep the niche of Heroic Strike as a Rage dump, it will become an instant attack, but will cost between 10 and 30 Rage. This ability will not be usable until you have 10 Rage, but if you have more than 10, it will consume up to 30, adding additional damage for each point of Rage consumed above the base 10. Other abilities, such as Cleave, Execute, and Maul (for druids) will work similarly. The goal is to provide players with an option where if you can't afford the Rage, you don't push the button, but if you have excess Rage, you can push it a lot. Battle Shout, Commanding Shout, and possibly Demoralizing Shout will work more like the death knight's Horn of Winter ability. Specifically, these shouts will cost no resources, generate rage in addition to their current effects, and be on a short cooldown. Whirlwind will hit an unlimited number of targets, but only for 50% of weapon damage. The intent is for this ability to be used in multi-target scenarios and not on single targets. Overall, heals cast by players in Cataclysm will be a lower number relative to players' health than the current game. So to make the Mortal Strike debuff less mandatory but still useful in PvP, Mortal Strike will reduce healing by only 20%. All equivalent debuffs, including the Shadow priest and Frost mage debuffs, will be for 20% less healing. At the moment we aren't considering giving this debuff to anyone else, though we will certainly consider PvP utility for historically under-represented specs that use other mechanics. Sunder Armor will be reduced to three stacks instead of five, and still provide only a 4% reduction in armor per stack. We want to make this debuff easier to apply and less of a damage swing when it falls off. The Furious Sundering talent in the Fury tree will make the Sunder Armor ability cause 25/50% weapon damage and reduce the threat generated by 50/100%. The Mace and Poleaxe Specialization talents in the Arms tree will be removed. These provided just passive stats, which are not the kinds of talents we want to design in the future. We will keep the Sword Specialization talent, but it will be changed to a talent that applies to all types of weapons. As a Fury talent, Booming Voice will increase the Rage generated by shouts. While we like how Titan's Grip plays, we recognize some warriors liked the Fury tree because of the really fast swings that dual-wielding one-handed weapons could provide. Therefore, we're planning to try out a talent called Single-Minded Fury that is parallel to Titan's Grip and will provide a large boost to the damage of a pair of one-handed weapons. Several talents that reduce the Rage cost of abilities will be changed to focus on increased damage for those abilities instead. The new Arms talent called Disarming Nature will make successful disarms cause the target to cower in fear for 5/10 seconds. Another new Arms talent called Blitz will make the Charge ability hit for extra damage. The amount will possibly vary depending on the distance travelled. Improved Pummel, a Fury talent, will cause a successful interrupt to generate 10/20 Rage. Bonus Swing: This is similar to the Sword Specialization talent that is currently in the game, but Bonus Swing will work on all attacks and with all weapons. You have a chance to proc a free, instant weapon swing that hits for 50% damage. Enrage Intensity: Every benefit of being enraged is increased. This includes doing more damage/healing/ etc. from abilities like Bloodrage, Death Wish, Enrage, Berserker Rage, and Enraged Regeneration. Critical Block Chance: As we mentioned in the stat changes preview, block rating is changing to a chance to block 30% of a melee swing's damage. Protection warriors have a chance that the block will be a critical block and block for 60% of a melee swing's damage instead. There will likely be talents available to push the amount blocked even higher. Vengeance: This is a mechanic to ensure that tank damage (and therefore threat) doesn't fall behind as damage-dealing classes improve their gear during the course of the expansion. All tanking specs will have Vengeance as their second talent tree passive bonus. Whenever a tank gets hit, Vengeance will give them a stacking attack power buff equal to 5% of the damage done, up to a maximum of 10% of the character's un-buffed health. For boss encounters, we expect that tanks will always have the attack power bonus equal to 10% of their health. The 5% and 10% bonuses assume 51 talent points have been put into the Protection tree. These values will be smaller at lower levels. Remember, you only get this bonus if you have spent the most talent points in the Protection tree, so you won't see Arms or Fury warriors running around with it. Vengeance will let us continue to make tank gear more or less the way we do today – there will be some damage-dealing stats, but mostly survival-oriented stats. Druids typically have more damage-dealing stats even on their tanking gear, so their Vengeance benefit may be smaller, but overall the goal is for all four tanks do about the same damage when tanking. Heroic leap will be ql,the shout thing 2 thats about it. Mortal strike that cuts 20% ..... what can i say to that?GJ blizz! Outbreak (level 81): Outbreak infects the target with both Frost Fever and Blood Plague at no rune cost. This ability allows death knights to apply diseases quickly when they are switching targets or when their diseases have been dispelled. Necrotic Strike (level 83): Necrotic Strike is a new attack that deals weapon damage and applies a debuff that absorbs an amount of healing based on the damage done. For context, imagine that the death knight can choose between doing 8,000 damage outright with a certain ability, or dealing 6,000 damage and absorbing 4,000 points in incoming heals with Necrotic Strike -- the burst is smaller, but a larger overall amount of healing would be required to bring the target back to full health. This ability is meant to bring back some of the old flavor from when death knights could dispel heal-over-time (HoT) effects. It also gives the class a bit more PvP utility without simply replicating a Mortal Strike-style effect. Dark Simulacrum (level 85): The death knight strikes a target, applying a debuff that allows the death knight to copy the opponent's next spell cast and unleash it. Unlike Spell Reflection, Dark Simulacrum does not cancel the incoming spell. In general, if you can't reflect an ability, you won't be able to copy it either. While we're satisfied with the way the rune system works overall, we're making a few major changes to the mechanics that will ultimately help death knight players feel less constrained. Here's the rationale behind the changes, followed by an explanation of how the new system will work. * In the current rune system, any time a rune is sitting idle, death knights are losing out on potential damage output. By comparison, rogues spend most of their time at low energy levels, and if they're unable to use their skills for a few seconds, that energy builds up and can be spent later, minimizing the net loss from the interruption. * A death knight's runes, on the other hand, cannot be used until they are fully active. If a death knight ever goes more than a few seconds without spending an available rune, that resource is essentially wasted. Because the death knight is pushing buttons constantly, it can be difficult to add new mechanics to the class because the player doesn't have any free global cooldowns to use them. We can't grant extra resources or reduced cost, because there is no time to spend them. Missing an attack is devastating, and it's impossible to save resources for when they're most useful. * Additionally, each individual death knight ability has a fairly low impact on its own, making it feel like most of the death knight's attacks are weak. The death knight's rotations are also more easily affected by latency or a player's timing being just a little off. At times, it feels like death knights aren't able to take advantage of their unique resource mechanic, which can diminish the fun. * The new rune system will change how runes regenerate, from filling simultaneously to filling sequentially. For example, if you use two Blood runes, then the first rune will fill up before the second one starts to fill up. Essentially, you have three sets of runes filling every 10 seconds instead of six individual runes filling every 10 seconds. (Haste will cause runes to fill faster.) Another way to think of this is having three runes that go up to 200% each (allowing extra "storage"), rather than six runes that go up to 100% each. * As this is a major change to the death knight's mechanics, it will of course require us to retune many of the class's current abilities. For example, each ability needs to hit harder or otherwise be more meaningful since the death knight is getting fewer resources per unit of time. Some abilities will need to have their costs reduced as a result. 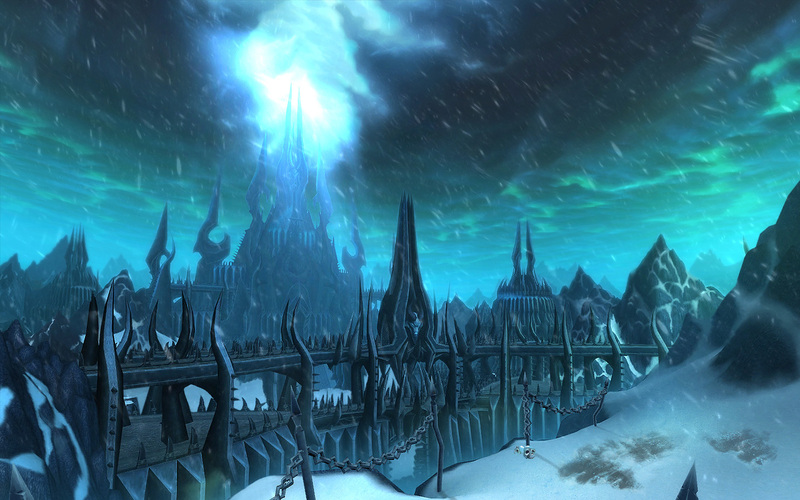 Next we'll outline some of the death knight talent-tree changes we're planning in Cataclysm. This list is by no means comprehensive, but it should give you a sense of how we're intending each death knight spec to perform. * One of the biggest changes we're making is converting Blood into a dedicated tanking tree. While we feel that having three tanking trees was successful overall, it's less necessary in a world with dual-specialization. In addition, the current breakdown isn't as compatible with the Mastery-based passive talent-tree bonuses we want to add (see below). We'd rather spend time tweaking and balancing one good tanking tree rather than having a tank always wondering if they picked the "correct" tree out of three possibilities. * Blood seemed like the best fit for tanking. Unholy has always had a strong niche with diseases, magic, and command over pets. Frost now feels like a solid dual-wield tree with Frost magic damage and decent crowd control. Blood's niche was self-healing -- fitting for a tank -- as well as strong weapon swings, which could easily be migrated to Frost and Unholy. * Our plan is to move the most interesting and fun tanking talents and abilities to Blood. For example, you will likely see Vampiric Blood and Will of the Necropolis remain, while Bone Shield will move over from Unholy. Healing Absorption: When you heal yourself, you'll receive an additional effect that absorbs incoming damage. Runic Power Generation: This will function as the name implies, and the new rune system will make generating Runic Power more appealing. Disease Damage: Unholy death knights will be able to get more out of their diseases, which are integral to the tree's play style. Vengeance: This new mechanic is designed to ensure that tank damage output (and therefore threat) doesn't fall behind as damage-dealing classes improve their gear during the course of the expansion. All tanking specs will have Vengeance as their second talent tree passive bonus. Whenever a tank gets hit, Vengeance will grant a stacking Attack Power buff equal to 5% of the damage done, up to a maximum of 10% of the character's unbuffed health. For boss encounters, we expect that tanks will always have an Attack Power bonus equal to 10% of their health. The 5% and 10% bonuses assume 51 talent points have been put into the Blood tree; these values will be smaller at lower levels. You only get the Vengeance bonus if you have spent the most talent points in the Blood tree, so you won't see Frost or Unholy death knights running around with it. Vengeance will let us continue to design tank gear more or less the way we do today; there will be some damage-dealing stats, but mostly survival-oriented stats. Druids typically have more damage-dealing stats even on their tanking gear, so their Vengeance benefit may be smaller, but the goal is that all four tanks will do about the same damage when tanking. Any news about paladins? I surely hope that they will make holy more viable for pvp then protection( like on those TBC good ol' times, where it was fun pvp-ing as shockadin.). Waiting for a skill that has a 30 sec cooldown (avenger's shield) is just not cool. omfg cero...we are happy with 10 man...we enjoy in small things. It's not retail and we are happy with what we have! well i'm happy cuz of you..
but seriously magic is gettin kinda borin!! i started playin on projecteden now!! deth u are in guild ? nope i almost quit wow now just com online 1-2 in a week or 2!! Damages and disorients nearby enemies, possibly only the ones facing the paladin's shield (similarly to Eadric's Radiance). Holy paladins will have a talent to increase Blinding Shield's damage and critical strike chance, while Protection will have one that makes it an instant cast. 2 seconds cast. Requires: Shield. The paladin radiates heals from him or herself, almost like a Healing Stream Totem. The spell has a short range, but also relatively long (compared to the instant healing spells) duration, which should allow paladins to use this when they expect to see AoE damage and continue using their good ol' heals. Summons a guardian that works differently depending on the paladin's spec (it also looks like the winged angel-like creature from WarCraft III's Resurrection spell). 30 seconds duration. 3 minutes cooldown. ■Holy: Heals nearby wounded targets, preferring the ones with lowest health. ■Protection: Absorbs some the incoming damage. ■Retribution: Attacks nearby enemies (like Summon Gargoyle). ■Crusader Strike will become an ability available to all paladins at level 1. Retribution paladins will get a talent that either improves it, or completely replaces it with a more powerful version (like Heart Strike replaces Bloody Strikes). ■Cleanse is being redesigned to work with the new dispel system. It will remove harmful magic effects, poisons, and diseases from friendly targets (which is kind of how it works now, is it not...). ■Blessing of Might and Blessing of Wisdom, as well as their Greater equivalents, will have their effects combined. The new Blessing of Might will provide both the AP and mana regeneration buffs. Rejoice, brothers and sisters of the Light, buffing a raid will no longer require PhD! ■Holy Shock will become a core ability available to all paladins. ■Retribution and Holy paladins will most likely see a nerf in their defensive capabilities. Divine Shield may have its duration reduced by a few seconds (good-bye, bubble-hearth, it's been pleasure knowing and using ye!). Divine Protection and Lay on Hands may or may not see a change in their effects. ■Retribution paladins will likely get another mechanics, where if they press the wrong button at the wrong time, they will be punished somehow. They may also get more PvP utility. ■Sacred Shield will have its duration increased to 30 minutes. This way Holy Paladins won't need to worry about keeping it up, since it's just a GCD eater right now. Another goal for healing Paladins will be to improve their toolbox and niche, so they don't feel like the strongest tank healer and weakest group healer. ■The new design for Holy's spell arsenal will be: Flash of Light will be fast and expensive, Holy Light will become the on-the-go heal (so its healing capacity and mana cost will likely be reduced), and a new heal will be added to be the strong and inefficient heal. ■Holy Paladins will use spirit as their mana regeneration stat. ■Protection Paladins will use different rotations for single-target and multi-target threat generation. In addition this, they will need a new cooldown to use in each one of those situations. ■Holy Shield will have no charges. It will increase block change when active (so it probably won't have 100% uptime, like it does now). It will continue providing minor amounts of damage/threat. 2.Stat: Meditation - Increases mana regeneration in combat. 3.Unique effect: Crit Healing Effect – When the Paladin gets a crit on a heal, it will heal for more. 2.Stat: Vengeance – Every time the Paladin takes damage, he or she will gain (up to) 5% of the damage taken as attack power. This buff will stack to (up to) 10% of the Paladin's maximum un-buffed health. 3.Unique effect: Block Amount – Increases the amount of damage blocked. While Warriors will sometimes critically block for double the normal amount, Paladins will block more frequently for their normal amount, which will be generally higher than the base 30%. 3.Unique effect: Holy Damage – Any attack that does Holy damage will have its damage increased.